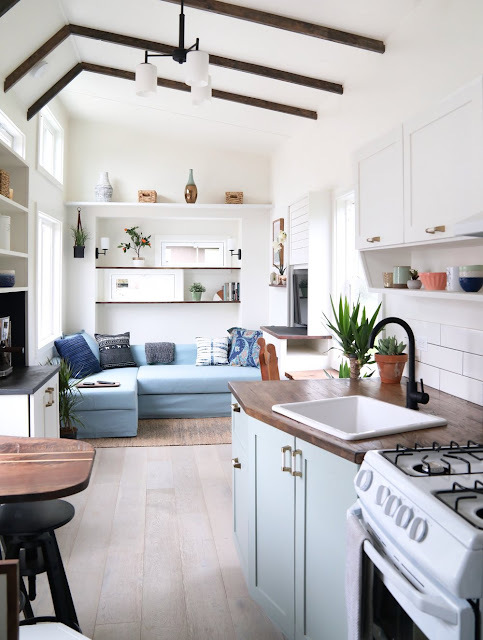 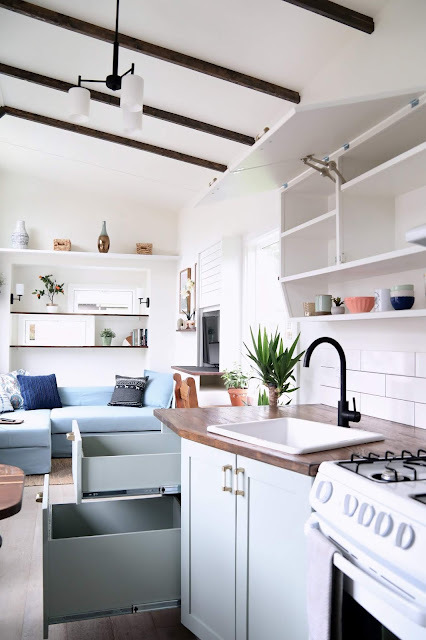 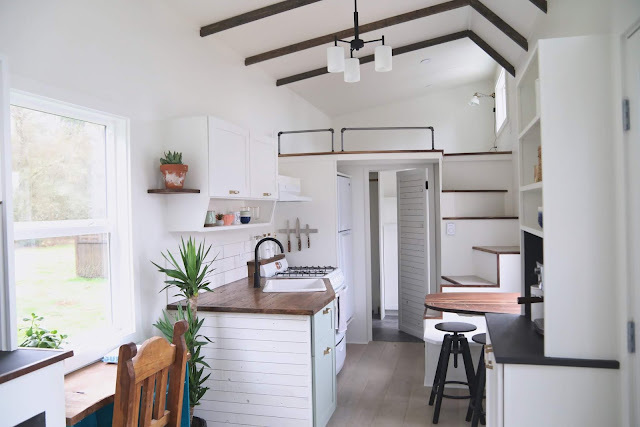 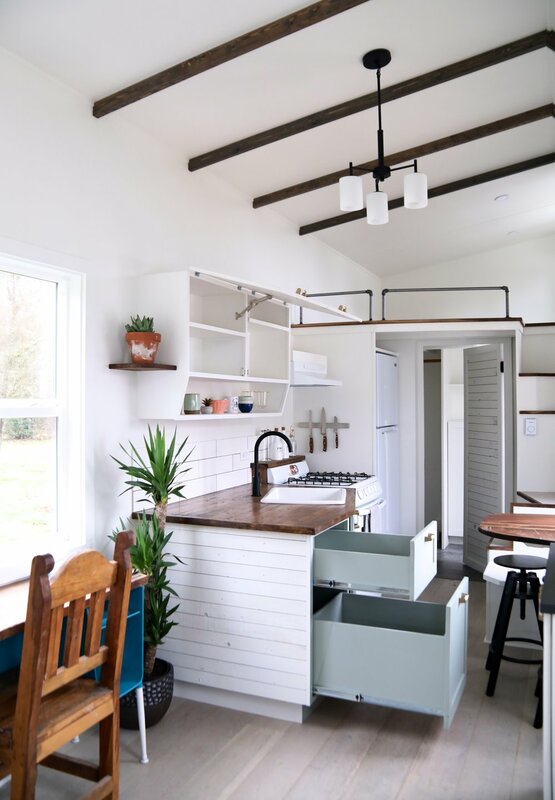 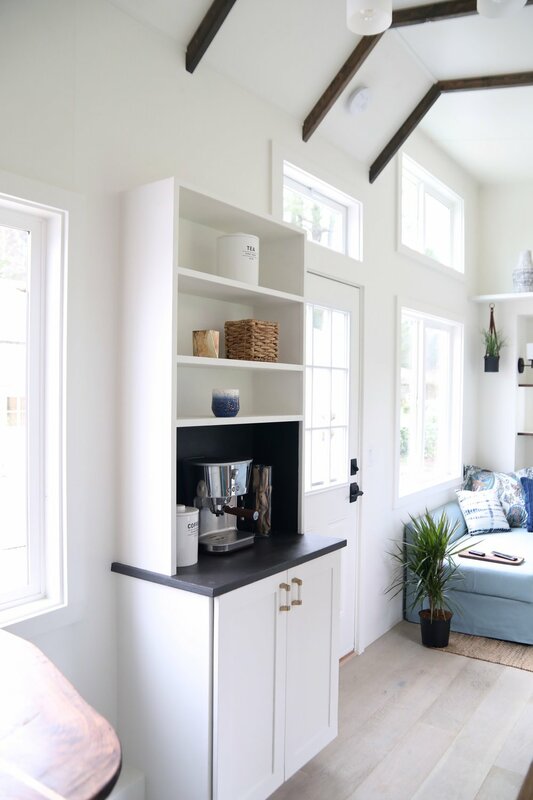 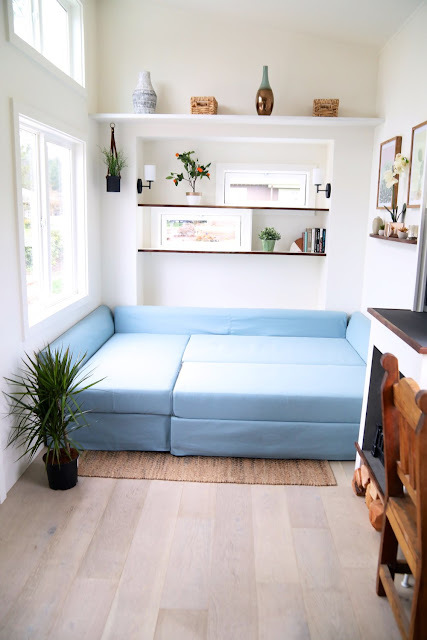 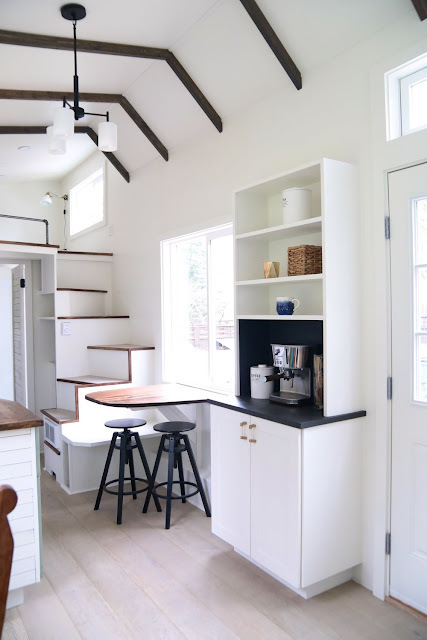 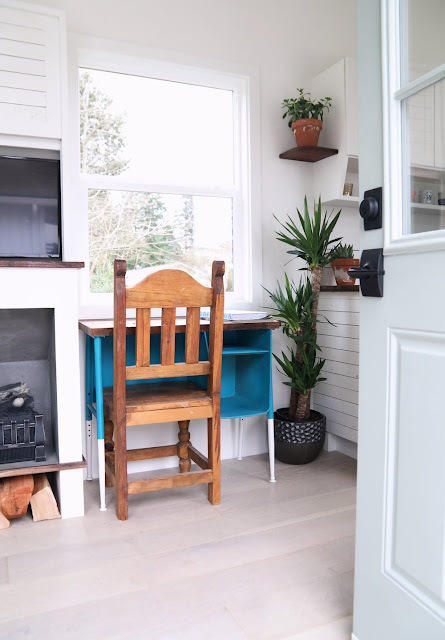 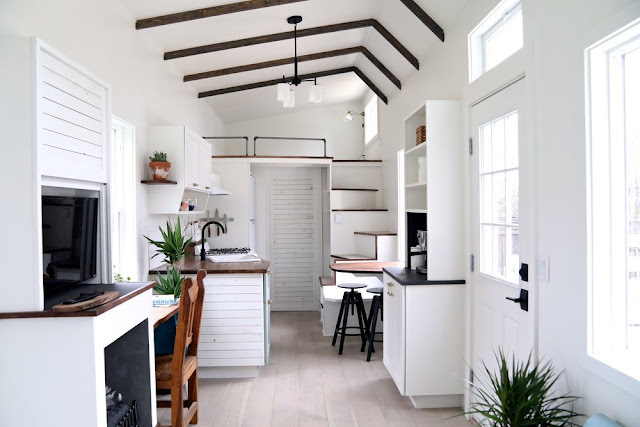 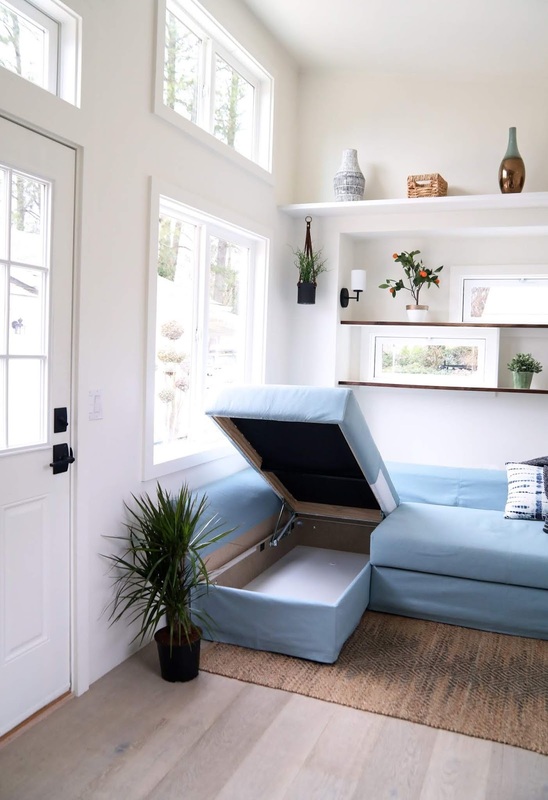 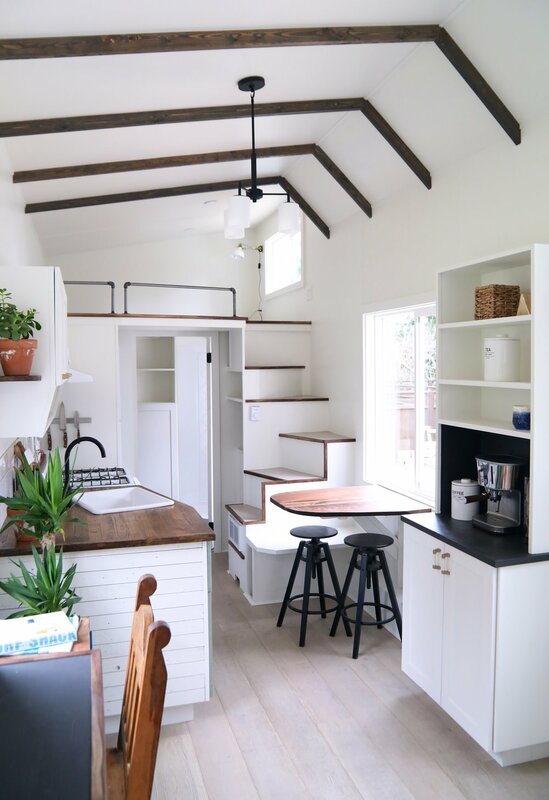 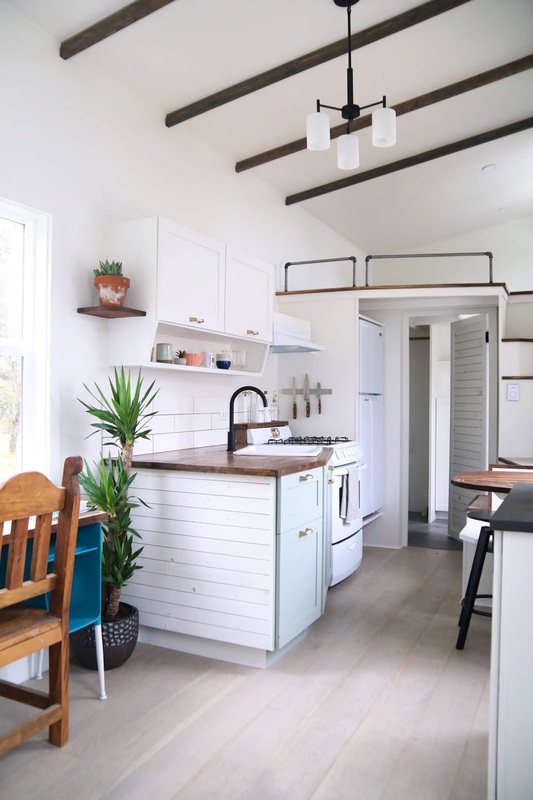 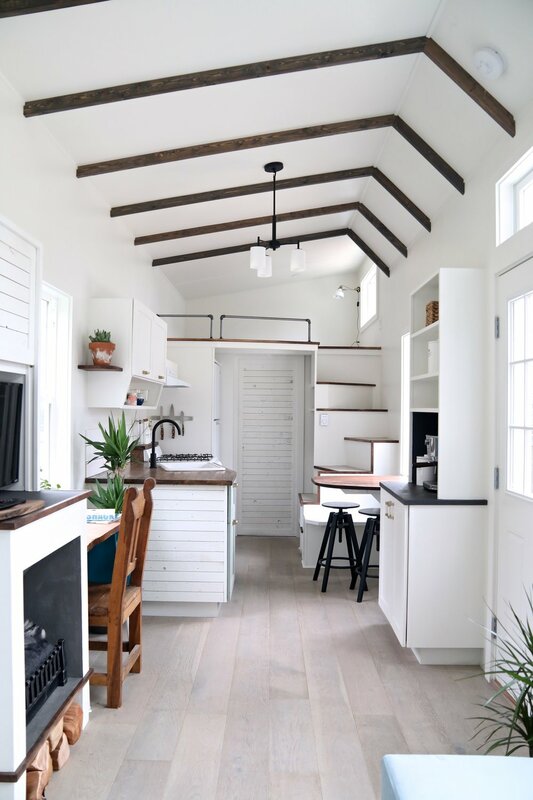 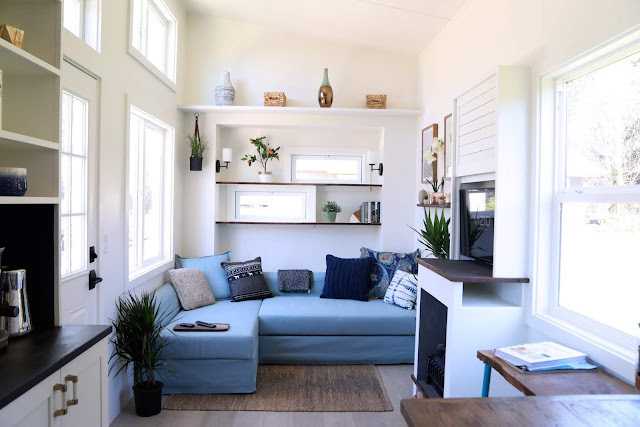 From Handcrafted Movement is this beautiful, luxury tiny house on wheels!Named the “Coastal Craftsman”, the home exudes all the style and expert craftsmanship Handcrafted Movement is known for. 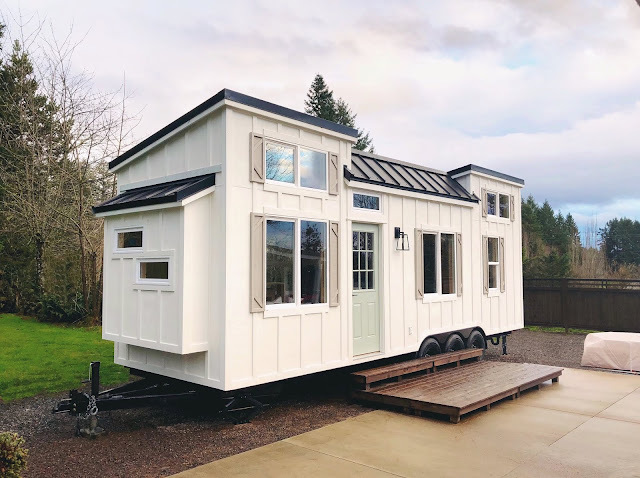 The home is built onto a 28’ x 8.5’ triple-axle Iron Eagle PAD trailer with board and batten siding, and a standing seam metal roof. 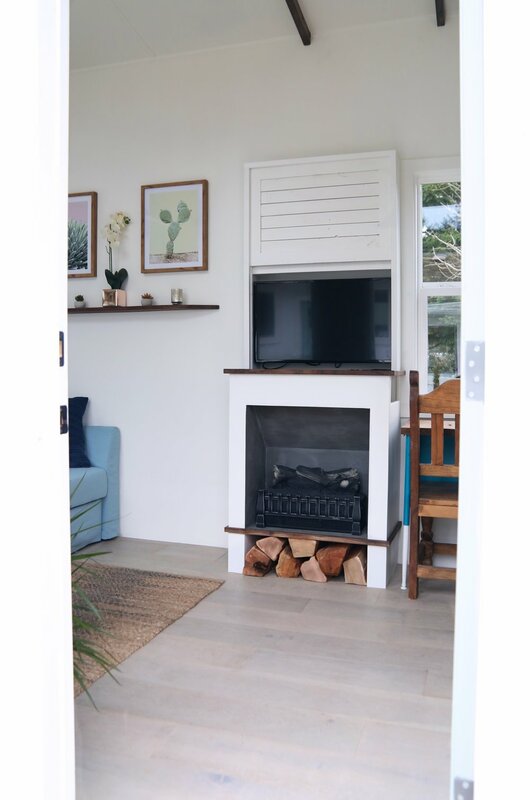 Inside is beautiful wide plank distressed oak hardwood flooring with an electric fireplace and a TV hutch. 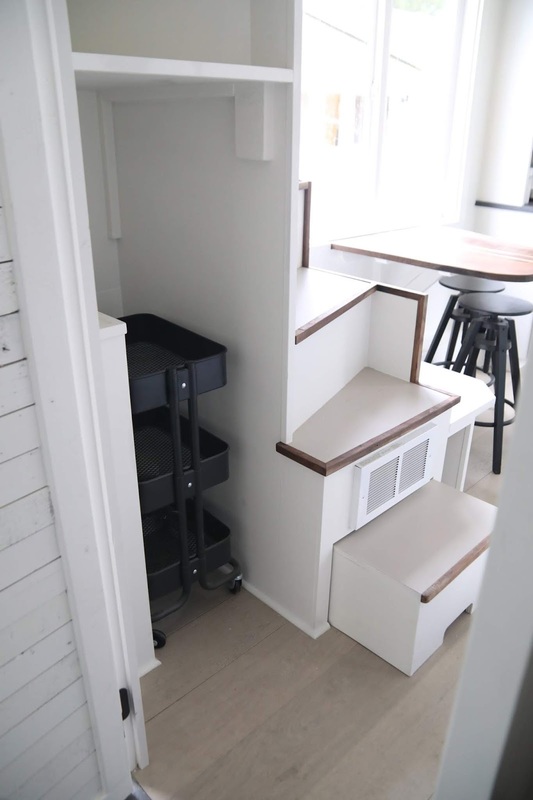 For sleeping accommodations, there’s a loft bedroom that’s accessible by stairs, and an electronic elevator sleeping platform. The kitchen features beautifully tiled countertops with a reclaimed walnut breakfast bar. 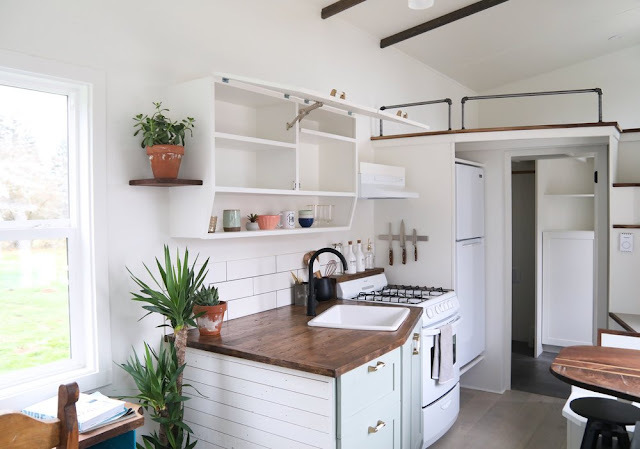 Also included is a 24” four-burner LP gas range with an exterior hood vent, an energy efficient refrigerator with auto defrost, and cabinet storage. 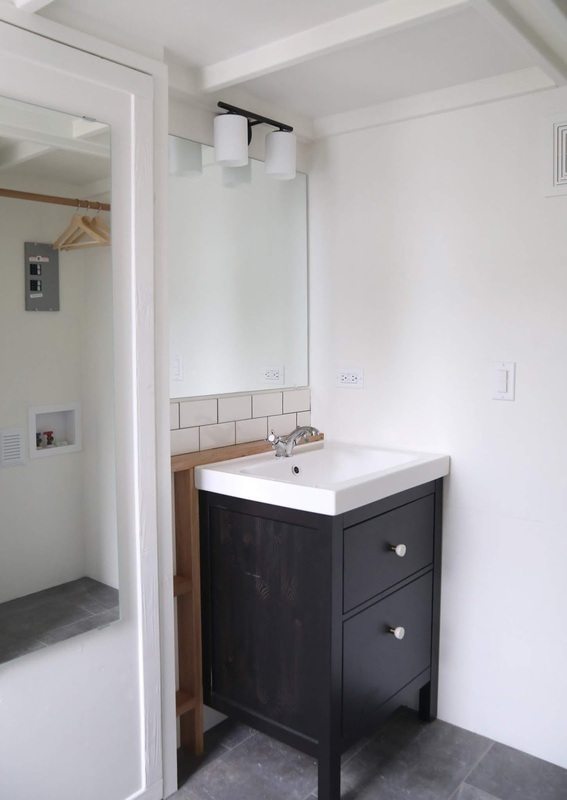 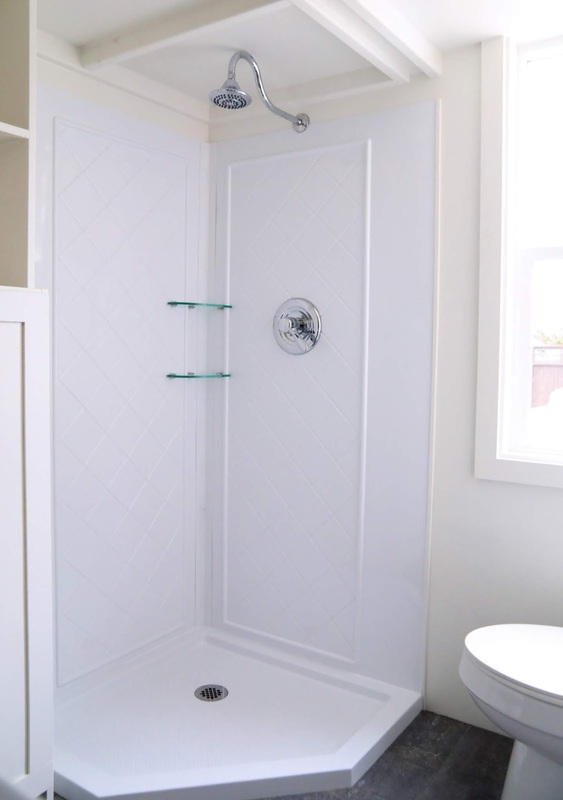 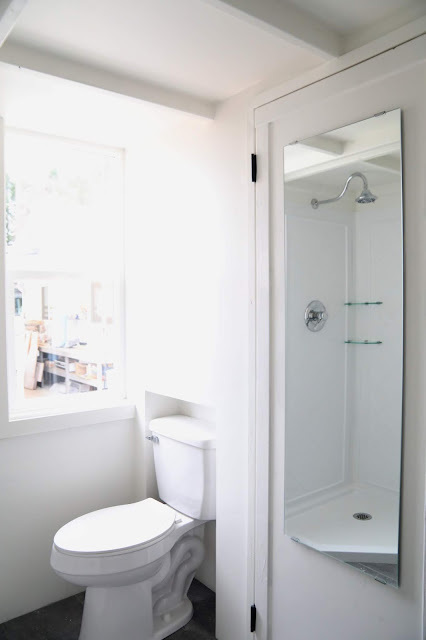 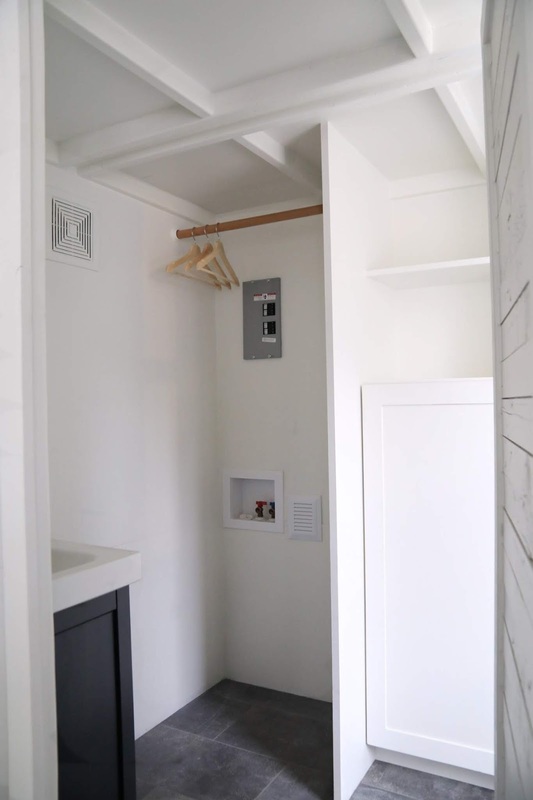 The bathroom includes a 36” x 36” Neo-angle shower, an energy efficient flush toilet, a ceramic vanity with a sink, built-in storage, and an energy efficient LP tankless water heater. 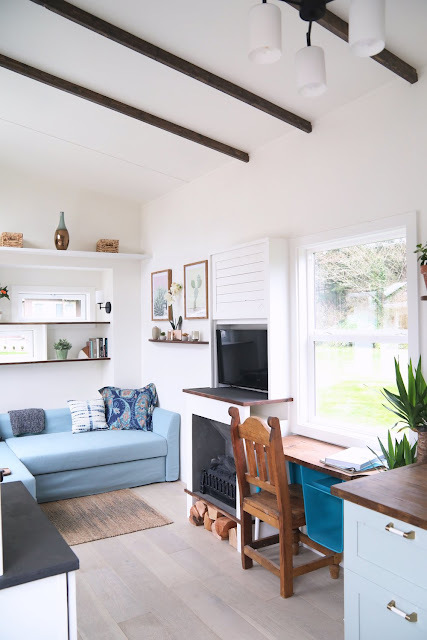 The Coastal Craftsman is available for sale for $72,500. 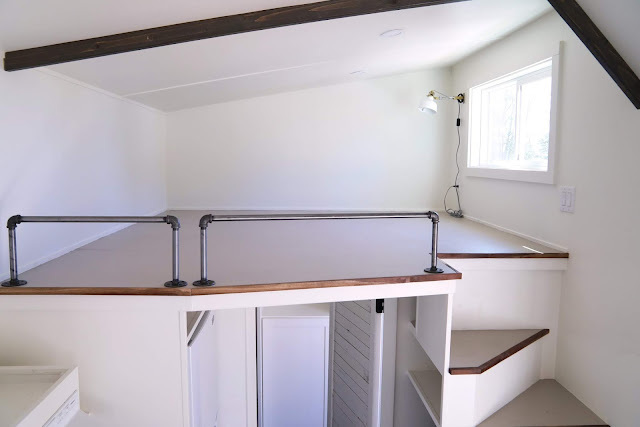 Contact Handcrafted Movement here to inquire or for further questions!